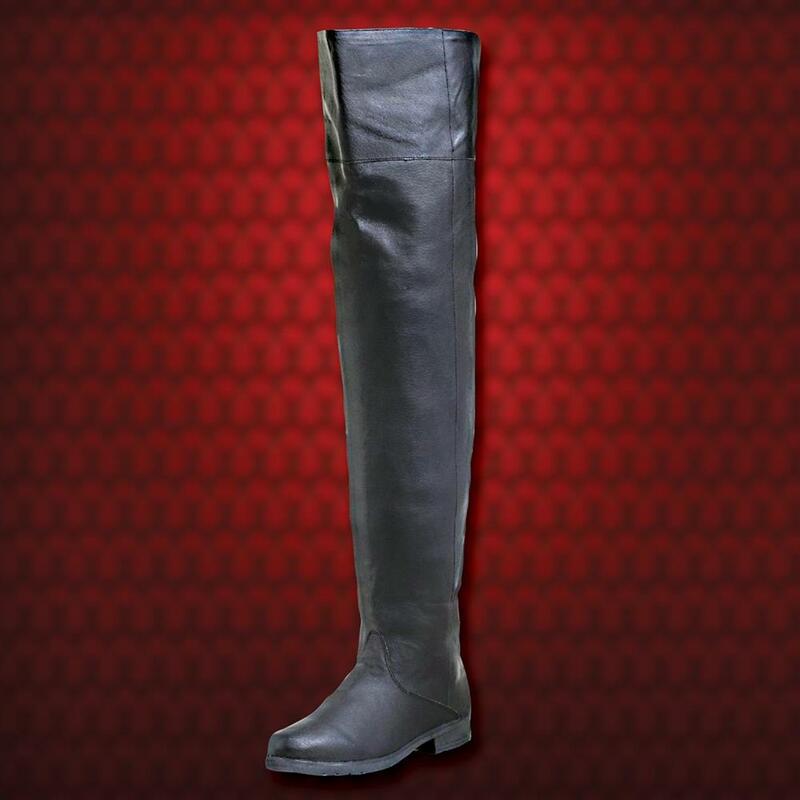 These fantastic black leather Swordsman Roll Down Boots will go with a variety of Renaissance or Medieval outfits. 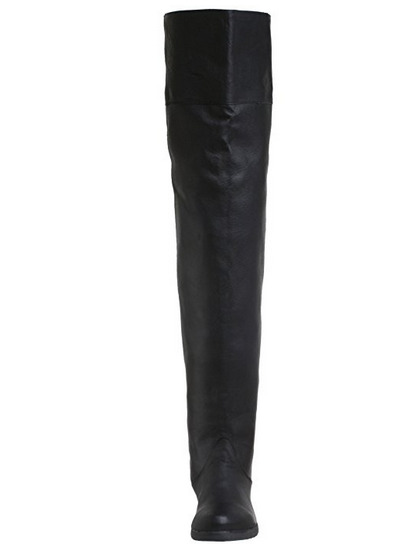 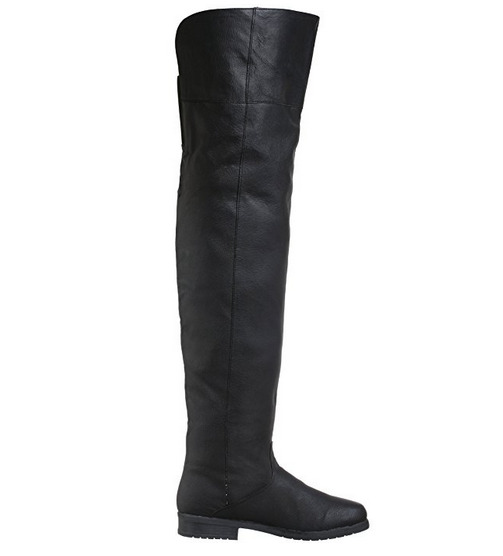 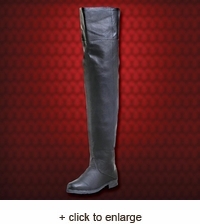 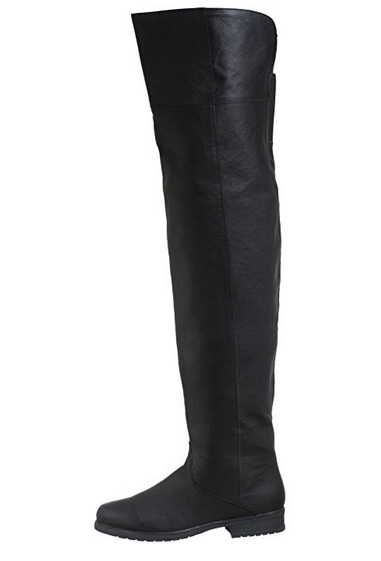 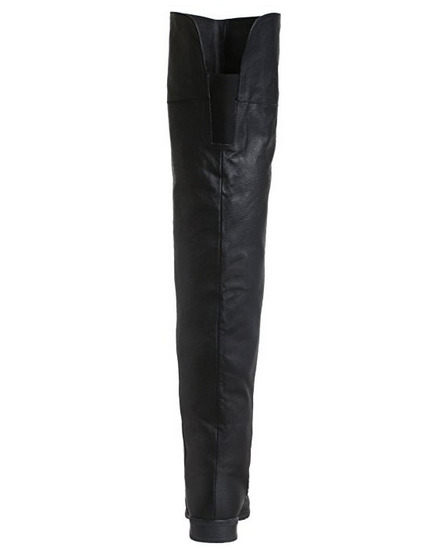 Wear them up as a thigh-high boot or fold them down for a high-knee boot. 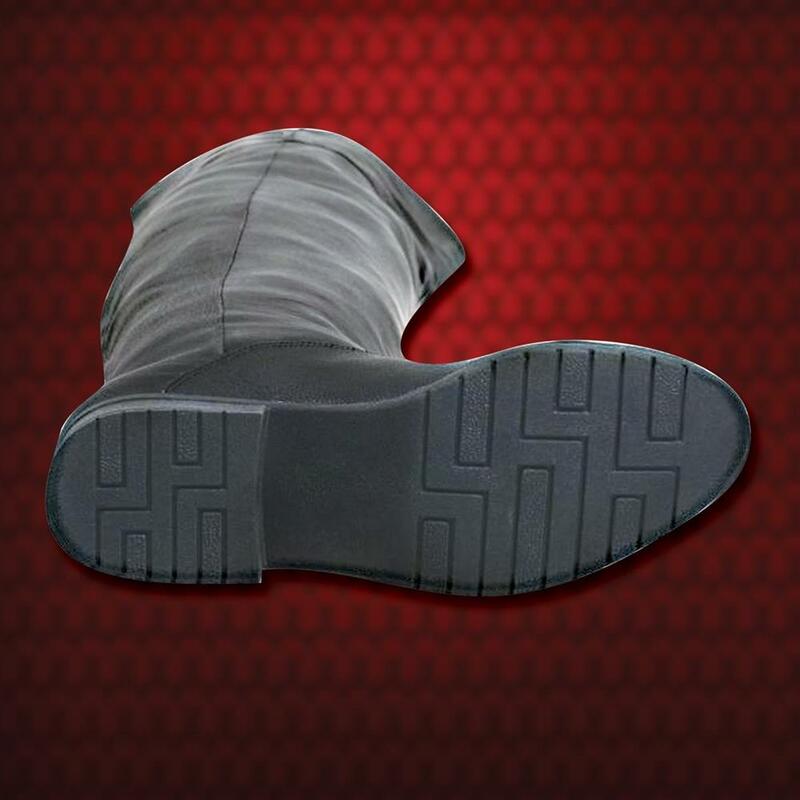 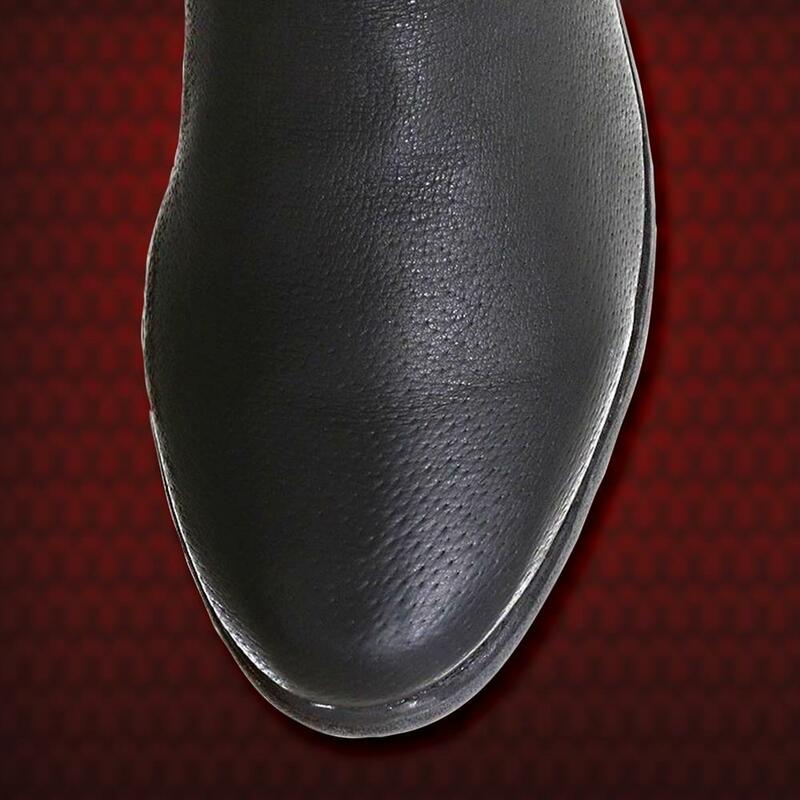 Made of genuine, soft pig leather with a rounded toe.